Isolated thunderstorms early, then partly cloudy after midnight. Low 41F. Winds N at 10 to 20 mph. Chance of rain 30%..
Isolated thunderstorms early, then partly cloudy after midnight. Low 41F. Winds N at 10 to 20 mph. Chance of rain 30%. 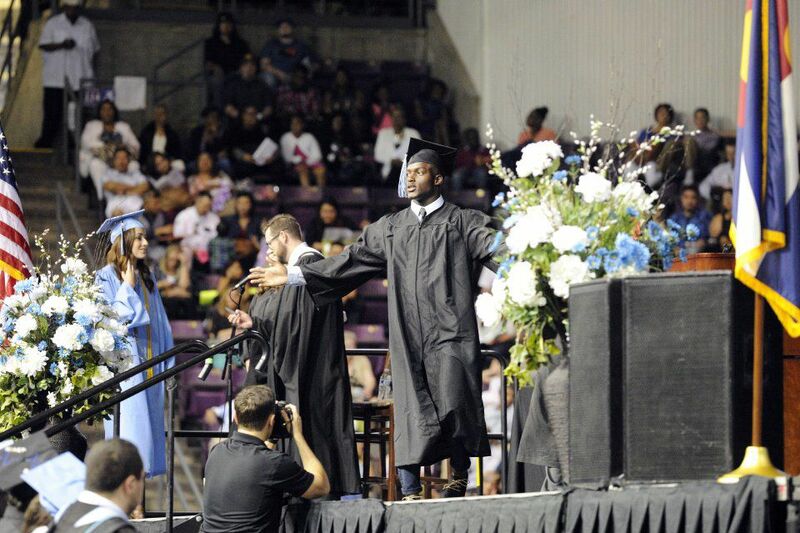 Graduation exercises for Vista Ridge High School were held Saturday May 28, 2016 at the World Arena. Photo by Jeff Kearney. 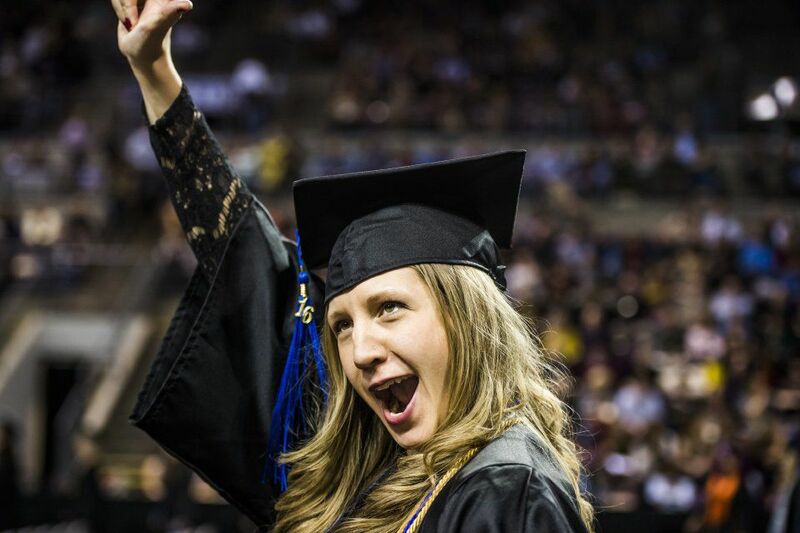 Deanna Moulton reacts excitedly after walking across the stage during the UCCS spring graduation at the Broadmoor World Arena on Friday, May 13, 2016. Photo by Stacie Scott, The Gazette. 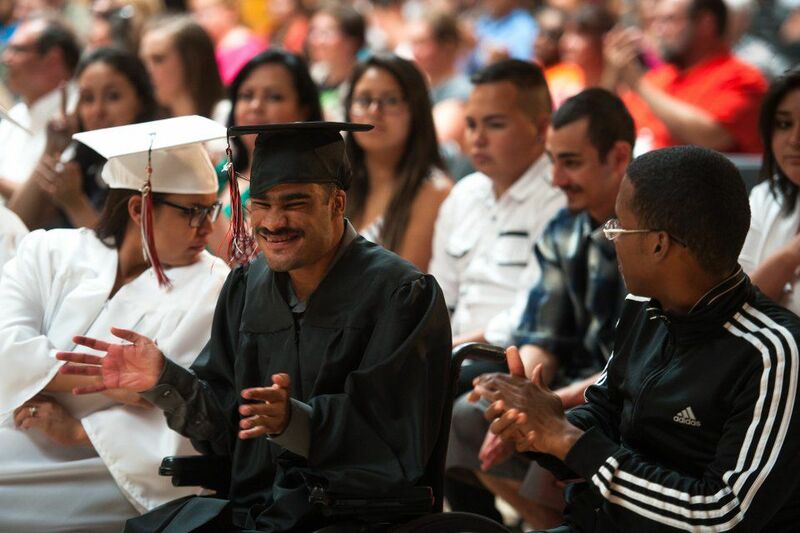 Nathan Andrew Curnew claps during the Colorado School for the Deaf and the Blind Class of 2016 Commencement ceremony at the Weiner-Galluzzo Multi-Purpose Facility on Friday, June 3, 2016. Curnew was one of 16 graduates. 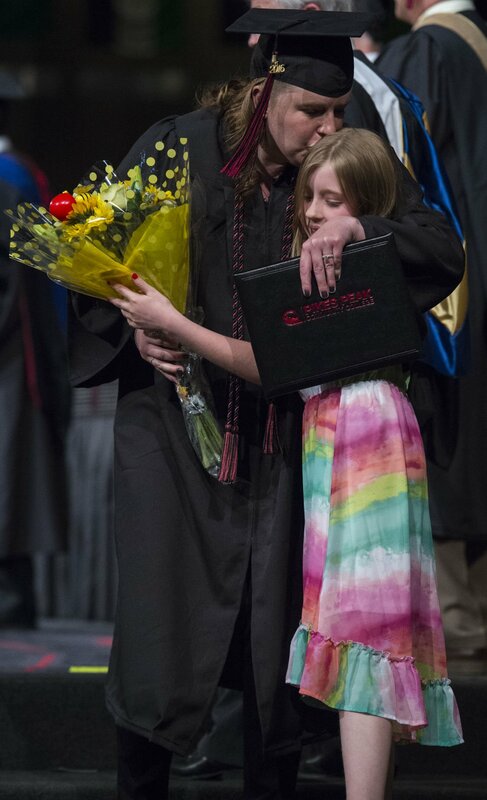 Photo by Ryan Jones, The Gazette. 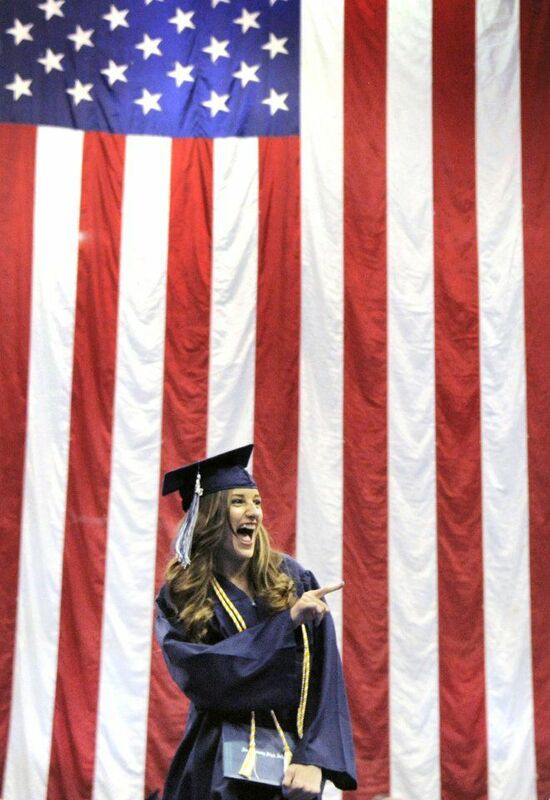 Graduation exercises for Woodland Park High School were held Friday May 20, 2016 at the Pikes Peak Center. Photo by Jeff Kearney. Graduation exercises for Springs Studio for Academic Excellence were held Friday May 20, 2016 at the Antlers Hotel. Photo by Jeff Kearney. It will soon be celebration time for thousands of high school and college students around Colorado Springs and the Pikes Peak region. 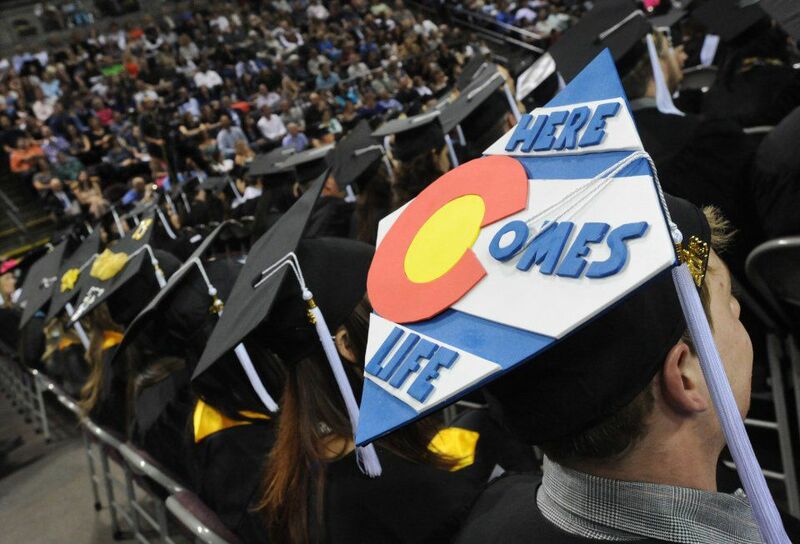 The graduation season kicks off with the University of Colorado at Colorado Springs commencement on May 12. 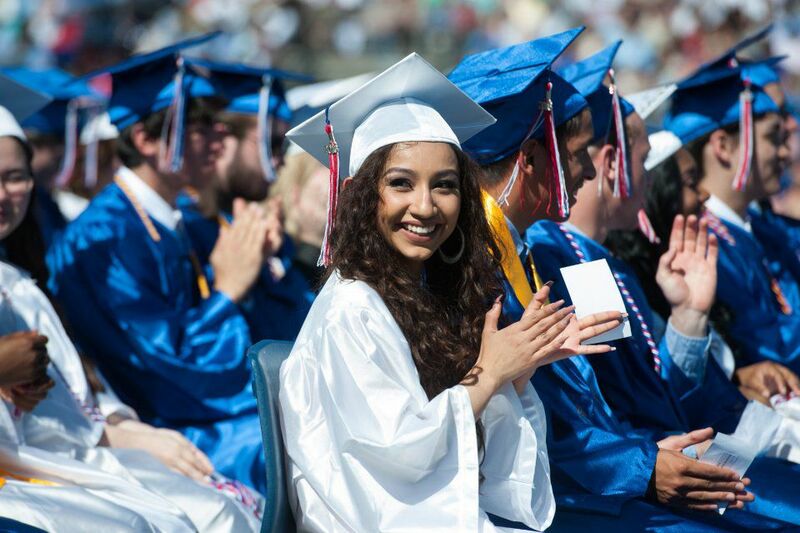 The Gazette will have photo galleries from nearly all area schools' graduations. - Meet The Gazette's Best & Brightest Class of 2017. 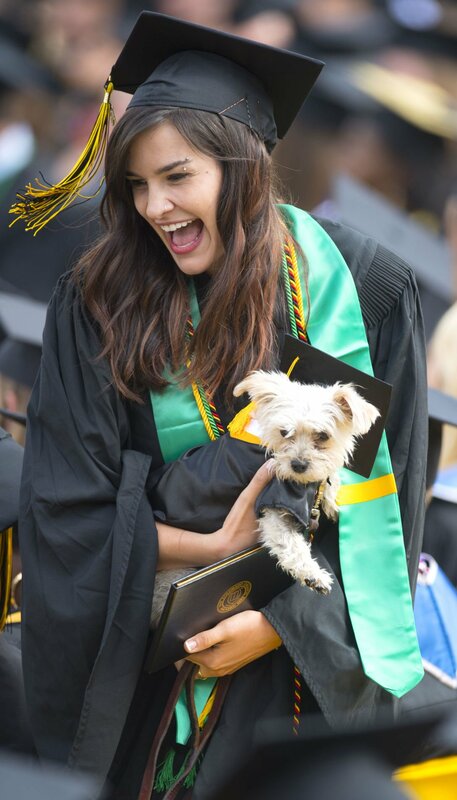 - See 16 classic moments from graduations in 2016. Here's a schedule of commencement ceremonies. *In the event that security concerns make Clune Arena on the Air Force Academy unavailable, graduation will take place at District 20 Stadium, near Liberty High School. 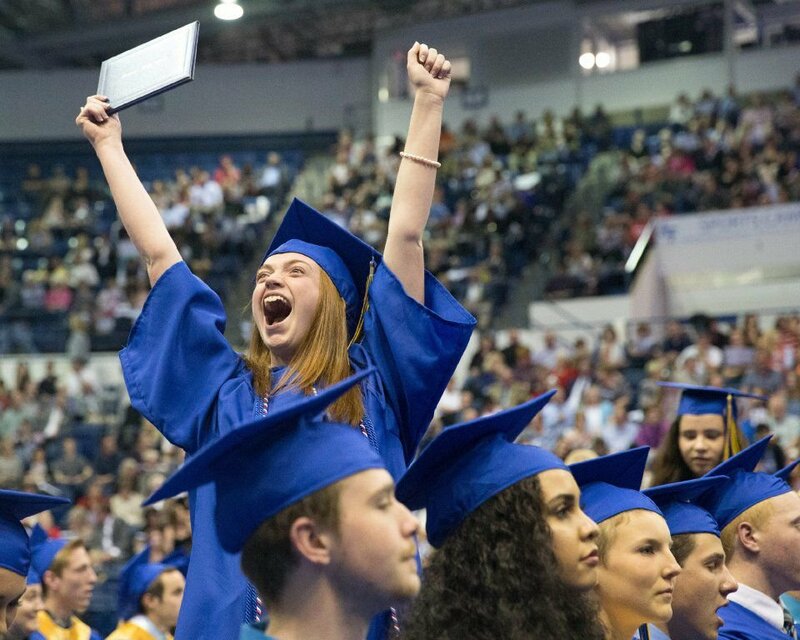 If Clune Arena is unavailable and if there is inclement weather, graduation will take place indoors at Liberty High School. - Academy Online High School, 10 a.m. May 17, Springs Church, 1515 Auto Mall Loop. 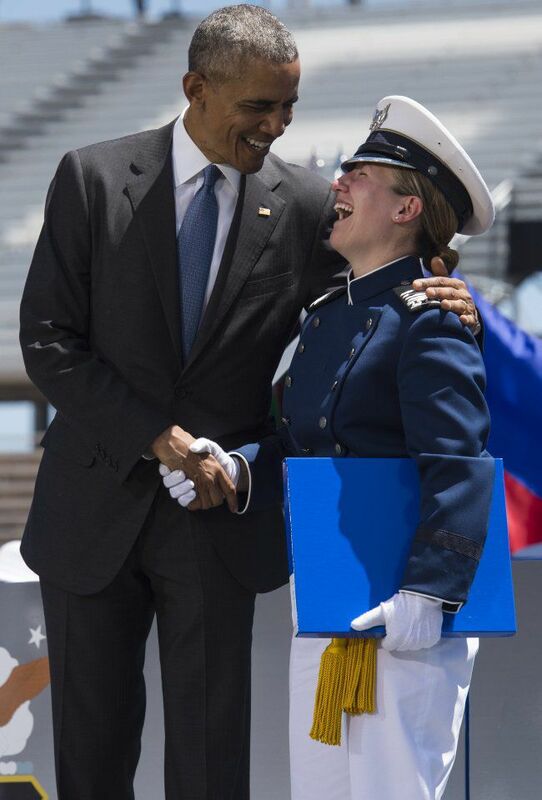 -Air Academy High School, 10 a.m. May 18, Clune Arena*, Air Force Academy. - Aspen Valley High School, 10 a.m. May 17, Springs Church, 1515 Auto Mall Loop. - College Pathways, 2 p.m. May 26, The Classical Academy North, 975 Stout Road. - Discovery Canyon Campus, 6 p.m. May 18, Clune Arena*. - Liberty High School, 2 p.m. May 18, Clune Arena*. - Pine Creek High School, 2 p.m. May 17, Clune Arena*. - Rampart High School, 6 p.m. May 17, Clune Arena*. - The Classical Academy, 2 p.m. May 26, The Classical Academy North Campus Gym, 975 Stout Road. - Calhan High School, 10 a.m. June 3, high school, 800 Bulldog Drive, Calhan. - Cheyenne Mountain High School, 1:30 p.m. May 28, The Broadmoor The Broadmoor World Arena, 3185 Venetucci Blvd. - The Vanguard School, 10:30 a.m. May 21, The Vanguard School, 1605 S. Corona Ave.
- Achieve Online, 9 a.m. May 25, Roy J. Wasson Academic Campus Auditorium, 2115 Afton Way. - Adult Education, 7 p.m. June 8, Roy J. Wasson Academic Campus Auditorium. - Civa Charter High School, 4 p.m. May 26, Coronado High School, 1590 W. Fillmore St.
- Community Prep, June 3, Colorado College, Cutler Quad, northwest of Worner Campus Center, 902 N. Nevada Ave. Call school for time to confirm information, 227-8836. - Coronado High School, 9 a.m. May 24, The Broadmoor World Arena. - Doherty High School, 3 p.m. May 23, The Broadmoor World Arena. - Early College High School, 9 a.m. May 26, Roy J. Wasson Academic Campus. - Life Skills High School, 11 a.m. June 16, Stargazers Theatre and Event Center, 10 S. Parkside Drive. - Mitchell High School, 3 p.m. May 24, The Broadmoor World Arena. - Palmer High School, 9 a.m. May 23, The Broadmoor World Arena. - Springs Community Night School, students graduate from their home school. - Tesla High School, 2 p.m. May 25, Roy J. Wasson Academic Campus. - The Bijou School, noon May 26, Roy J. Wasson Academic Campus. 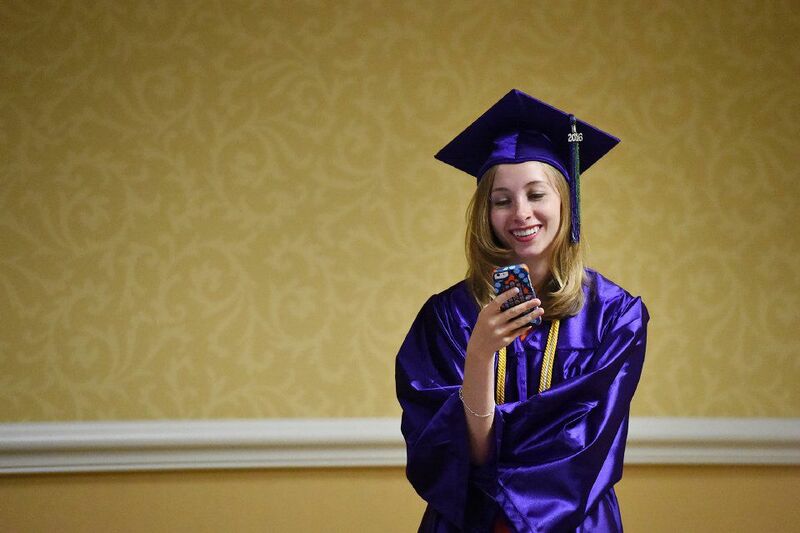 - The Digital High School, students graduate from their home school. - Cripple Creek-Victor Junior-High School, 6 p.m. May 25, junior-high school gym, 410 N. B. St., Cripple Creek. - Edison High School, 4 p.m. May 21, high school, 14550 Edison Road, Yoder. - Edison Prep, 10 a.m. May 20, Pikes Peak Boces, 2883 S. Circle Drive. - Ellicott High School, 2 p.m. May 21, high school Gym, 375 S. Ellicott Highway, Calhan. - Falcon High School, 5 p.m. May 27, The Broadmoor World Arena. - Patriot Learning Center, 6 p.m. May 25, Creekside Gymnasium, 3850 Pony Tracks Drive. - Sand Creek High School, 1 p.m. May 27, The Broadmoor World Arena. - Springs Studio for Academic Excellence, 10 a.m. May 19, DoubleTree hotel, 1775 E. Cheyenne Mountain Blvd. - Vista Ridge High School, 9 a.m. May 27, The Broadmoor World Arena. - Fountain-Fort Carson High School, 9 a.m. May 27, Guy R. Barickman Stadium, 900 Jimmy Camp Road, Fountain. - Welte Education Center, 2 p.m. May 25, school, 330 Lyckman Drive, Fountain. - Hanover High School, 1 p.m. May 27, high school gym, 17050 S. Peyton Highway. 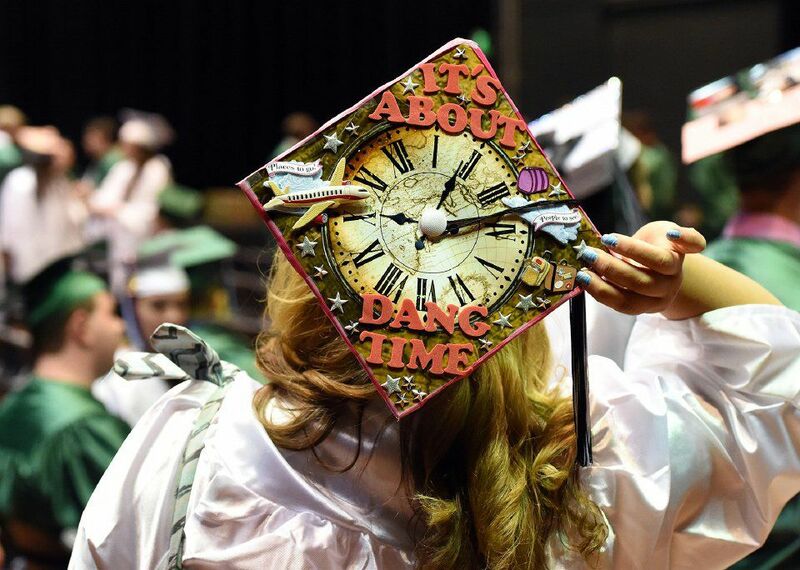 - Harrison High School, 2 p.m. May 25, The Broadmoor World Arena. - Sierra High School, 5 p.m. May 25, The Broadmoor World Arena. • Altas Preparatory School, 10 a.m. May 20, City Auditorium, 221 E. Kiowa St.
- James Irwin Charter High School, 3 p.m. May 25, high school gum, 5525 Astrozon Blvd. - Lewis-Palmer High School, 2:30 p.m. May 22, The Broadmoor World Arena. - Palmer Ridge High School, 6 p.m. May 22, The Broadmoor World Arena. - Manitou Springs High School, 1 p.m. May 21, Richardson Football Field, 401 El Monte Place, Manitou Springs. - Miami-Yoder High School, 10 a.m. May 20, high school north gym, 420 S. Rush Road, Rush. - Peyton High School, 10 a.m. May 27, high school gym, 13885 Bradshaw Road, Peyton. - Discovery High School, 4 p.m. May 19, Mesa Ridge High School, 6070 Mesa Ridge Parkway. - Mesa Ridge High School, 7 p.m. May 18, The Broadmoor World Arena. - Widefield High School, 9 a.m. May 20, high school, Bowers Gym, 615 Widefield Drive. 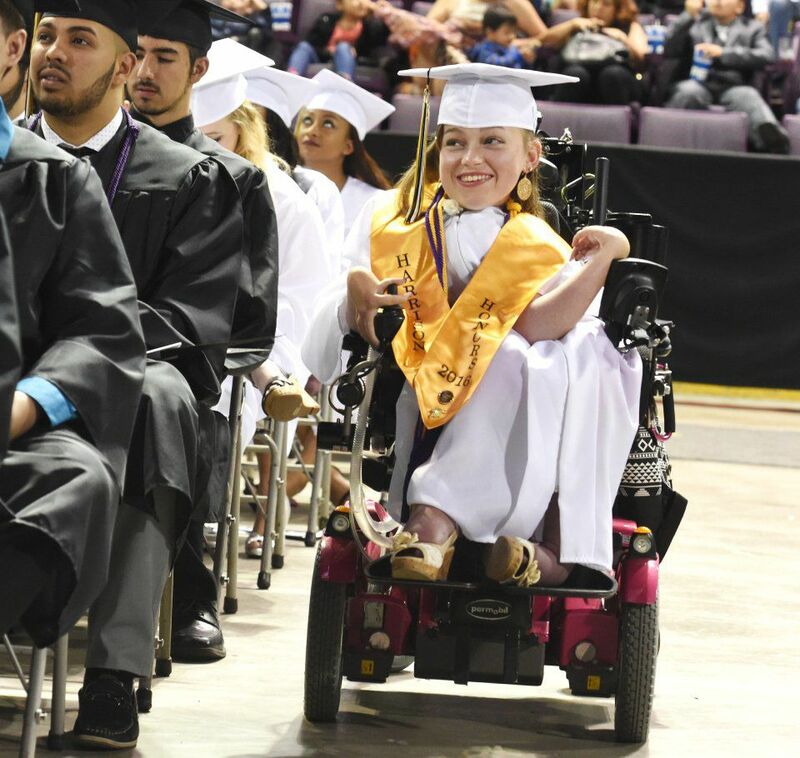 - Woodland Park High School, 7 p.m. May 26, Pikes Peak Center, 190 S. Cascade Ave.
- Colorado Springs School for the Deaf and the Blind, 1 p.m. June 2, school gym, 33 N. Institute St.
- The Career Building Academy, 11 a.m. June 3, Stargazers Theatre and Event Center. - Colorado Springs Early Colleges, 3 p.m. May 26, First United Methodist Church, 420 N. Nevada Ave. Tickets required. - Pikes Peak Prep, 5 p.m. May 25, Pikes Peak Community College, Centennial Campus, 5675 S. Academy Blvd. - Thomas MacLaren School, 1 p.m. May 27, school, 303 Austin Bluffs Parkway. - Colorado Springs Christian School, 2 p.m. May 26, Rocky Mountain Calvary Chapel, 4285 N. Academy Blvd. - The Colorado Springs School, 8:30 a.m. May 25, The Terrace, 21 Broadmoor Ave.
- Evangelical Christian Academy, 7 p.m. May 26, Village Seven Presbyterian Church, 4050 Nonchalant Circle South. - Fountain Valley School, 10 a.m. May 27, school, 6155 Fountain Valley School Road. 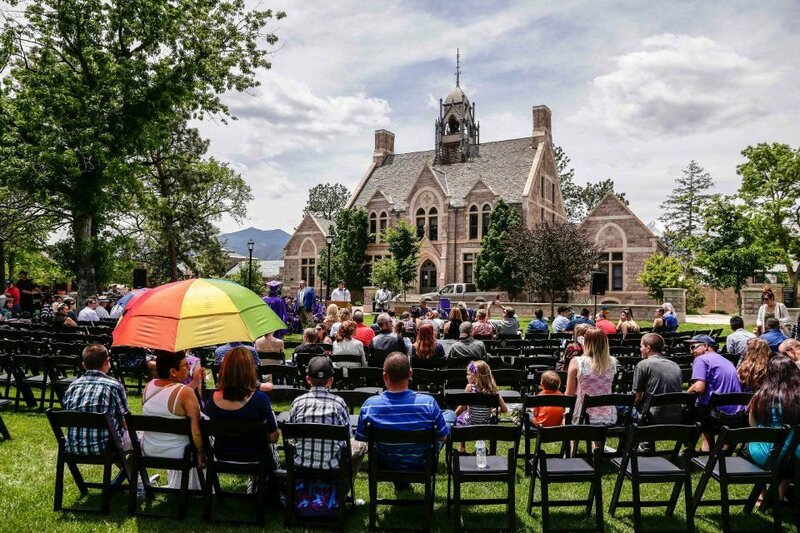 - Pikes Peak Academy, 7 p.m. June 16, school, 5590 N. Nevada Ave.
- Pikes Peak Christian School, 3 p.m. May 21, school auditorium, 5905 Flintridge Drive. - St. Mary's High School, 9 a.m. May 22, Holy Apostles Catholic Church, 4925 N. Carefree Circle. 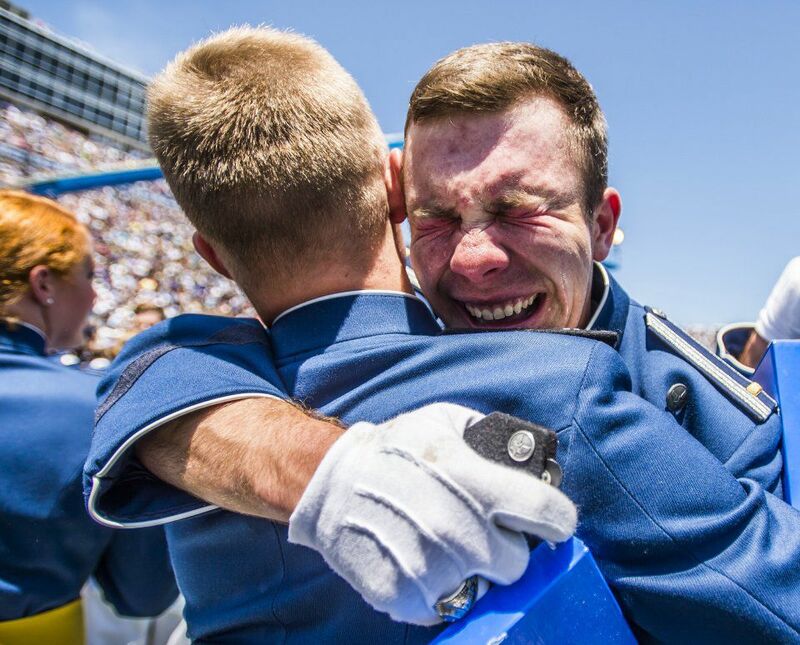 - Air Force Academy, gates open at 7 a.m., ceremony at 9:30 a.m. May 24, Falcon Stadium, tickets required. - Colorado College, 8:30 a.m. May 22, Armstrong Quad, 14 E. Cache La Poudre St. Rain location is the The Broadmoor World Arena. - Colorado Technical University, 10 a.m. and 2:30 p.m. June 10, Bellco Theatre, Colorado Convention Center, 700 14th St., Denver. Ceremony is not open to the public, tickets required. - DeVry University, noon July 22, The Wildlife Experience Great Hall, 10035 Peoria St., Parker. - Nazarene Bible College, 3 p.m. May 28, Strickland Chapel, 1111 Academy Park Loop. - Pikes Peak Community College, 10 a.m. May 13, The Broadmoor World Arena. 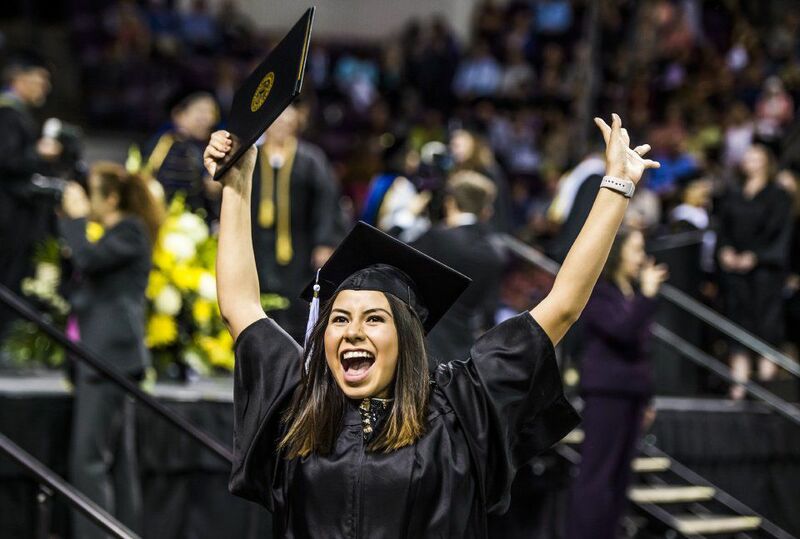 - University of Colorado at Colorado Springs, 10:30 a.m. for College of Letters, Arts and Sciences; 2:30 p.m. for all other colleges, May 12, The Broadmoor World Arena. - University of Phoenix, 2 p.m. June 3, Bellco Theatre, Colorado Convention Center, 700 14th St., Denver. -Webster University, 9 a.m. May 13, Colorado Springs Masonic Center, 1150 Panorama Drive.